Meet the All-New Norton Security Premium – All the Features of Norton 360 Multi-Device™ and More! 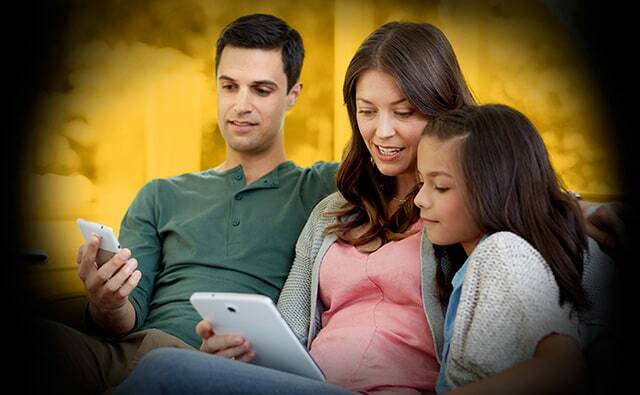 We took everything you loved about Norton 360 Multi-Device, and added better protection. We've improved performance and design to create Norton Security Premium. It’s the best of Norton for your PCs, Macs, smartphones and tablets. If you are already a Norton customer, you may be using a product that is available for renewal only. You can continue your subscription to receive protection updates and continue with the same level of protection. The table below provides a comparison of features for the current Norton Security product offerings. Check to see if your current product has all the features that the new products offer. If you need help with your current subscription, please visit our Customer Support. Auto-scan of apps on Google Play supported on Android 4.0.3 or later except for Samsung devices. Samsung devices running Android 4.2 or later are supported. For earlier versions of Android, the Google Play “Share” function must be used to scan apps on Google Play. The price quoted today is valid for the first term of your subscription (i.e., 1 year or 2 years, depending on your selection). After that, your subscription renews each year at the then-current subscription renewal price. The price is subject to change, but we will always notify you in advance. You can unsubscribe any time at manage.norton.com or by contacting Norton Support. For more details, please visit the Norton Return Policy. 2 Virus Protection Promise: To be eligible for the Virus Protection Promise, you must have a qualifying Norton subscription and unless you have Norton Small Business, you must also have purchased, renewed or upgraded that Norton subscription directly from Symantec, or subscribe to the Norton Automatic Renewal Service. If a Norton expert is unable to remove the virus from your device, then you may receive a full refund on the actual price paid for your current Norton subscription term, or the term of your current Norton subscription bundle. Or, if your bundled purchase contains a Norton subscription with a non-Norton subscription/product, your refund will be limited to the Manufacturer’s Suggested Retail Price of your Norton subscription for the current term, not to exceed the total price paid for that bundle. The refund will be net of any discounts or refunds received and less any shipping, handling and applicable taxes, except in certain states and countries where shipping, handling and taxes are refundable. The refund does not apply to any damages incurred as a result of viruses. See Norton.com/guarantee for details including qualifying Norton subscriptions.